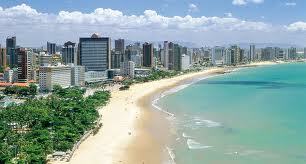 Cumbuco car rental was made as a result of our succesful bussines in tourism. We own a hotel on the beach of Cumbuco, and as a part of it we run a kitesurfing school, as all the necceseary services needed for this sport. With the car rental service we wanted to spread our service and to please our customers even more. In a very short time period we have become one of the most succesful companies in this service in this part of Brazil. Our driving park has got several groups of vehicles in the goal of pleasing multipurpose demands of our clients. Our plans for the future is to spread our driving park and increase the number of vehicle groups.We at Cumbuco car rental company have realised a long time ago that customers are in the first place. Thanks to hard work, employe experience and a quality driving park we are succesfuly spreading, and constantly improving our services.